WASHINGTON – Exactly at 11:48 on 18 December 2018, a large cosmic rock heading directly for Earth at a speed of 30 kilometers per second (19 miles per second) exploded into a huge fireball as it entered the atmosphere, 25 km above the Bering Sea. From below, the only witnesses to this fiery event can be the fish that inhabit the icy waters between Russia and Alaska because no human eye has treated it. Meteor is a light phenomenon that occurs when an asteroid or other celestial body enters the Earth's atmosphere. It is commonly called a shooting star. If it does not evaporate completely and some part hits the earth's surface, it is called a meteorite. One of the first researchers to discover this event was Peter Brown, a meteorist at the Department of Physics and Astronomy at the University of Western Ontario. On March 8, he returned through December data from a system used by the General Test Ban Treaty Organization to detect atmospheric explosions caused by nuclear tests. The system consists of seismic and acoustic sensors capable of capturing infrasound, inaudible to the human ear, at tens of thousands of kilometers. "Many of them have revealed the sound waves from this explosion," he said. "If you were right under him, it would be deafening." US military satellites watched the explosion immediately. But it wasn't until March 8, when the Air Force officially informed NASA, who had logged this event into the Fireball database, which she had kept since 1988, according to Lindley Johnson, NASA. "It was almost immediately posted on our website – within 10 minutes, I would say," he said. The NASA Center for Near Earth Object Studies has calculated the energy released by the explosion at 173 kilotons, which is more than ten times the destructive energy of a 15-kilometer atomic bomb that settled Hiroshima in 1945. 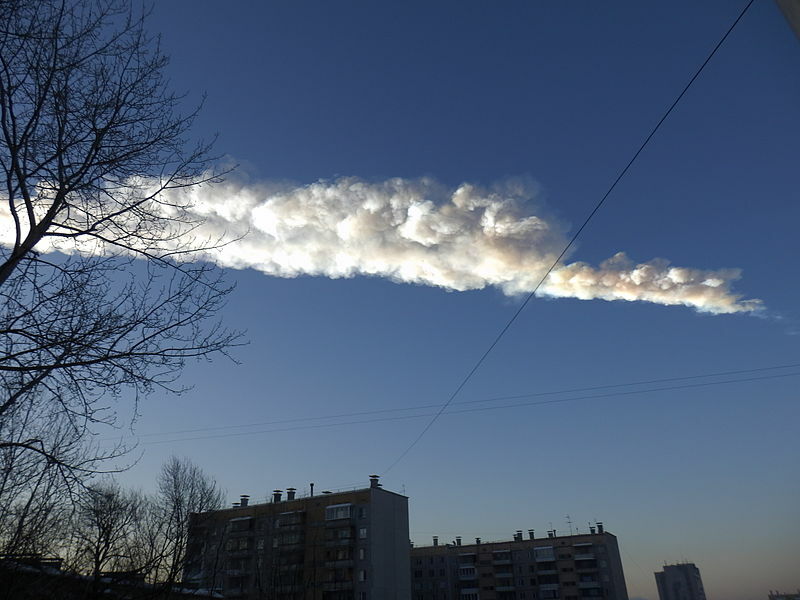 It was the strongest explosion in the atmosphere of a fireball that broke through in 2013, the Russian city of Chelyabinsk. That was 440 kilotonnes and left 1,500 people injured, mostly from glass flying from broken windows. Reading a topic report on the BBC, Simon Proud, a meteorologist and satellite data specialist at Oxford University, has decided to check the archive of images taken by the Himawari Japanese meteorological satellite, which constantly monitors his center. Bingo: The satellite was in the right place at the right time, he said. The current published an image on his Twitter account: what looks like an orange fireball above the clouds and the sea, but it is in fact a cloud of meteor dust trapped in sunlight, Brown said. NASIS's MODIS satellite also showed a dust cloud, said Kurtis Thome on Tuesday. "That's not surprising," said Patrick Michel, research director and asteroid specialist at the Ivory Coast Observatory in southern France. "It's a good reminder that there are a lot of these things on our heads and that it would be good to be more interested in them," he said. "It should remind us that while this is the least likely natural risk we face, it is still a risk that exists and will become a reality in the long run," he said. The rock was about 10 meters (33 feet) in diameter – the most dangerous celestial bodies for Earth are over 150 meters. "Nothing unusual," said Rudiger Jehn, head of the European Space Agency's planetary defense. “We were lucky it was over the ocean. It may happen again and once there will be more, ”he said, adding that ESA plans to ask Member States to create a better asteroid protection system at the November ministerial meeting. “This meteor explosion is the perfect promotion for our program. And it's free, "he said.